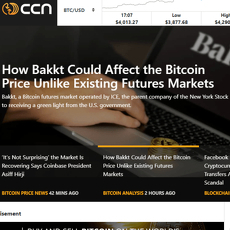 NewsBitcoin is a site that combines both news and cryptocurrency activities together. 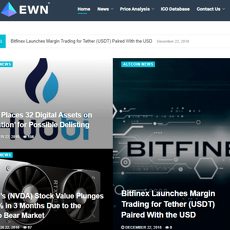 It publishes news on a regular basis as they are updated from different crypto platforms. However, it doesn’t only publish news within a day but those from the previous day and before. There is also a way you could read important articles you most likely missed during the course of the week. 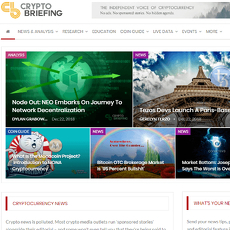 NewsBitcoin is so simple and its main priority is to impart subscribers with knowledge or information. 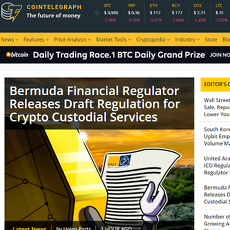 There are also latest comments on the site for different news and articles, displaying the names of those who commented on the post. 1. 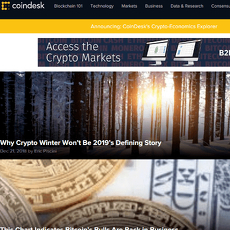 Start here: Under this section, you will learn more about Bitcoin and Bitcoin wallets. 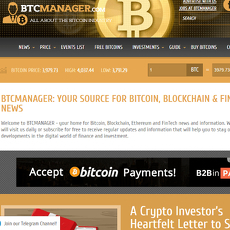 You will also learn how to avoid fraud when using Bitcoins and answers to your frequently asked questions. 2. 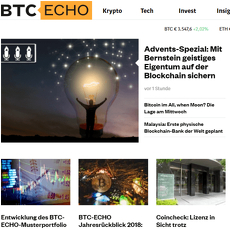 Get Bitcoin: In the section, you find different ways to buy Bitcoins and exchange rates of Bitcoin to local currencies or cryptocurrencies. Also, you would get information on how to cloud-mine. 6. 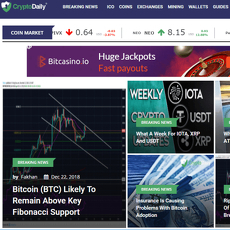 Economy: Here, cryptocurrency markets and trading activities are displayed. 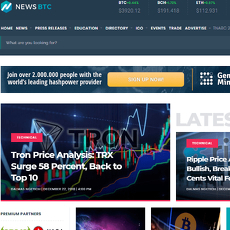 Charts are also displayed for better understanding of the market and you would find a Price converter which is synonymous to an exchange calculator. 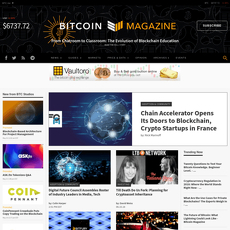 NewsBitcoin provides subscribers with almost every information about Bitcoin. 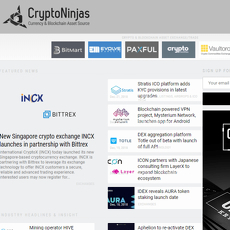 The site has an easy navigation because of how organized it is. 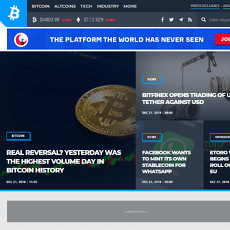 Focuses mainly on Bitcoins and not suitable for users with other cryptocurrency types.